In this video I do a quick test with the Canon EF 300mm f2.8 L on the Sony A7III with the Metabones adapter to see how sharp the images are. I'd say they came out really sharp. A lot of reviews talk about how the Sony A7III does not have a time laps mode so I wanted to make a quick video that shows how to achieve the time laps look with the Sony using the S&Q settings. It's very simple. Just open your S&Q settings in the menu and then select 1 frame per second. Turn the dial at the top of your camera to "S&Q" than adjust your exposure and hit the record button. All done. 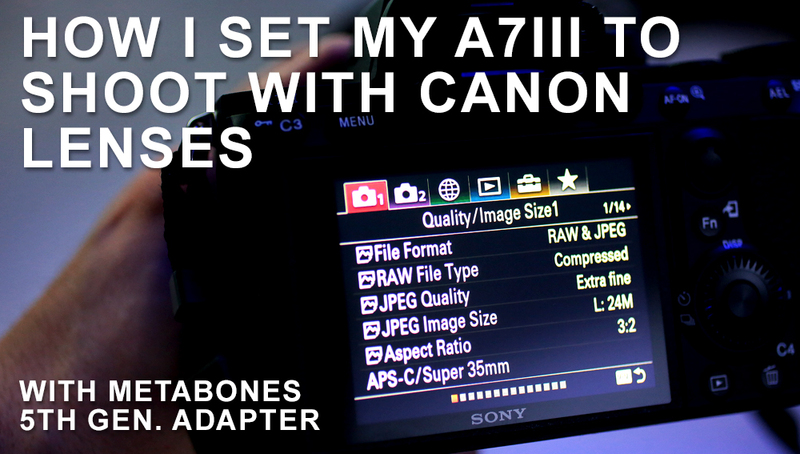 A few YouTubers messaged me after my last video with questions about how to setup the A7III for use with Canon lenses so that auto focus works. I'm no expert on the subject but here is a little video that hopefully helps you setup your cameras.